The Magnified Healing® technique is not intended to diagnose or prescribe. It should not be considered as a substitute to your own inner guidance or consultation with a health care professional. Magnified Healing® was first introduced as a new vibrational energy in 1983. 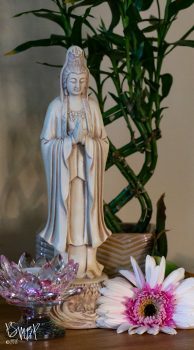 Later, under the direction of Lady Master Kwan Yin, this technique was brought forth from Source into its expanded form for the spiritual advancement of Humanity and the Earth. Currently there are over 137,000 practitioners in 92 countries, including in every state in the United States. The client accepting the healing is actively engaged in the session through breath and sound (stating guided intentions), standing if possible for the majority of the session segments. The session includes awakening the nervous system, scanning and healing the body, clearing and activating the chakras, balancing of karma, expansion of the Threefold Flame, and building the Light Body. Magnified Healing® is (at least) a 5th dimensional frequency vibration healing energy. The practitioner creates the energy with GOD MOST HIGH OF THE UNIVERSE and becomes Magnified Healing. Its focus is on the heart, unconditional spiritual love, building the Light Body and working with the Spiritual Hierarchy. Session Length: approximately 45 minutes, including a brief period of time at the conclusion for quiet reflection. This is followed by a post treatment consultation. Kwan Yin is an East Asian Bodhisattva and spokesperson for the Spiritual Hierarchy (Ascended Masters). She is associated with mercy, compassion and forgiveness, and venerated by Mahayana Buddhists and followers of Chinese folk religions. She is known as the Goddess of Mercy in English and Tara in Tibet and other parts of Asia and India. It is believed Kwan Yin is the patron saint of mothers. What is the Threefold Flame? The Threefold Flame is the divine spark sent from the ‘I AM Presence’ (Source) as the gift of Life, consciousness and free will. The blue flame represents the Divine Will of the Father God, the pink flame is the Divine Love of the Mother God, and the yellow-gold flame is the Divine Wisdom of the sons and daughters of God. What and where is the Light Body? The human energy field is made up of several layers. The terms etheric body, mental body, astral body and emotional body are all aspects of the Light Body. © Patricia Parente Reiki, 2015-2019. All rights reserved. All currency in US dollars. Prices are subject to change without notice. All photographs © Marilyn B Parente or Patricia Parente Reiki unless otherwise indicated. All photographs used with permission. No portion of this site may be used or reproduced in any manner without written consent from Patricia Parente Reiki.